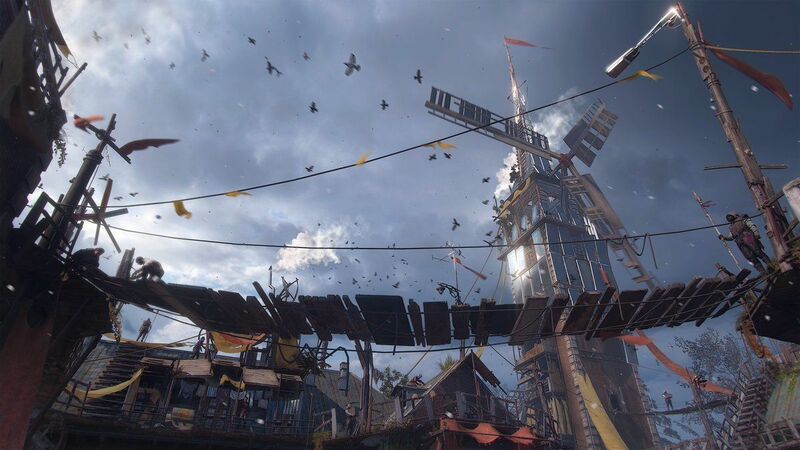 Dying Light 2 adds deeper storytelling and branching player choices on top of the original's superb parkour-infused gameplay. Ever bitten into an apple and then realized it’s rotten inside? That’s The City during the day. It looks empty, or at least mostly empty. A few zombies shamble around, weak and defenseless. You might catch a few survivors outside too, looking for supplies. But to the casual observer, it would look calm. Peaceful, even. Quiet. But inside every building, they wait. The Infected. They sleep, which is an oddly human behavior for something no longer even the least bit human. Dying Light 2 is massive, four times the size of the city in the original, and every building and darkened corner is packed full of nightmares waiting to be unleashed on you when the sun sets. As Dying Light developer Techland is so fond of saying: Good night, and good luck. Dying Light is still one of (or maybe the) best zombie games ever made. Or at least the best playing. Built around two core concepts—complex and deep melee combat, and flowing parkour traversal—it elevated both halves of the zombie equation. Sometimes you’re the powerful one, knocking undead heads off. Other times you’re the prey. A year later, The Following expansion made good on some of Dying Light’s promise, with a much more interesting conceit (sentient volatiles!) and more personality for protagonist Kyle Crane. But I still wouldn’t call it great. Just better. Techland seems to have heard the feedback. There’s a lot I could talk about here, including even more options for melee combat and traversal than the previous game. For instance, you can now swing on ropes, slide down billboards, and even wall-run. We were also shown a “Parkour Puzzle,” as Techland calls it, this one inside a water tower. It felt a bit like Mirror’s Edge or Prince of Persia, trying to work out pa route to get from ground to rooftop without falling to your death. It worked for Obsidian for years. It worked for Prey. It worked for Torment: Tides of Numenera. It worked for Divinity: Original Sin II. (All three of those games wound up on our list of the best PC games of 2017, in fact.) Who knows how much writing Avellone did on any of those projects, but his presence meant “We’re taking this game’s story seriously,” and that seems to be the case with Dying Light 2 as well. I got even more excited when we went in for our demo and Techland revealed that a portion of The Witcher 3’s writing team is also working on the project—specifically, people who were responsible for the memorable “Bloody Baron” questline. Avellone and ex-CD Projekt talent? Okay, I’m interested. And sure enough, story was the focus of our Dying Light II demo. It was hands-off, which was a shame, but at 45 minutes long we got to see quite a lot of The City and its inhabitants. As mentioned briefly in the E3 trailer, our main objective was to get to a water tower at the heart of the district. We’d heard that a Peacekeeper, a member of a local militia faction, had been on his way there and then disappeared. It was our job to track down what happened to him. Along the way of course we stumbled into trouble. 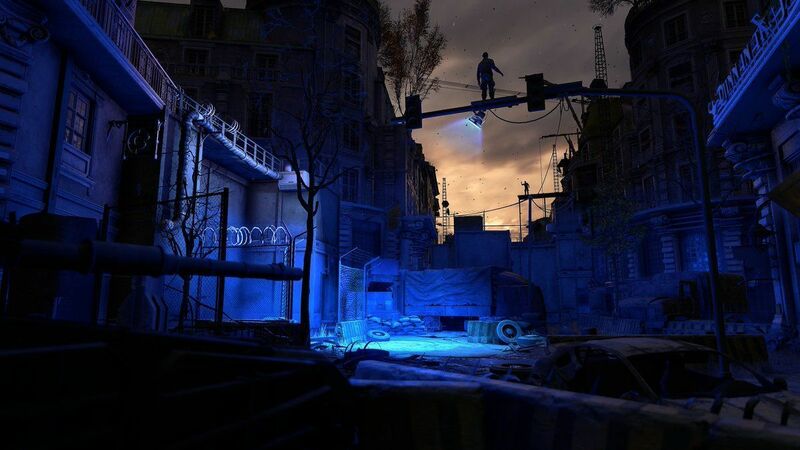 “The direct route” is still often the most dangerous in Dying Light 2, and instead we wove in and out of apartment buildings, sneaking past zombies and bandits, occasionally strangling an unsuspecting enemy. The usual. We eventually scaled the water tower though, and there met Joe and Jack—two enterprising young men who’d decided to take up residence in the tower and sell the water to the surrounding district. The Peacekeeper evidently wasn’t happy with this plan, and after a short argument Joe and Jack had pushed him off the side of the tower, killing him. Killing him. Quite a predicament. In Dying Light 2, there are multiple factions you’ll need to balance your relationships with. The Peacekeepers are an important one, a militia trying to restore order to The City by any means possible, even if it means hanging thieves or banishing troublemakers. If we decided to align with them, kill off Joe and Jack, the district would become a more peaceful and orderly place. Water from the tower would be handed out to residents for free, windmills erected, and the Infected threat pushed back. The Peacekeepers would also be more willing to work with us in the future. On the other hand, it’d be martial law essentially. Brutal. Unforgiving. Turn against the Peacekeepers, and they abandon the district. Joe and Jack sell their water, making a tidy bundle—and cutting you in on the deal too. Of course, you’re profiting off other people’s misery, with poorer residents dying of thirst in the street. Other factions also move into the area. Specifically, La Puerta, a shady black market area that sells basically anything you could ask for (and a lot of things you shouldn’t). Other games have had your choices feed back into the world itself of course, even The Witcher 3, but Dying Light 2 is doing it on a scale I’ve never seen before. It’s impressive, as over the course of a few in-game weeks the entire district seemingly takes on a new look, with new people in the streets and even new conversations about your actions as you walk past civilian bystanders. 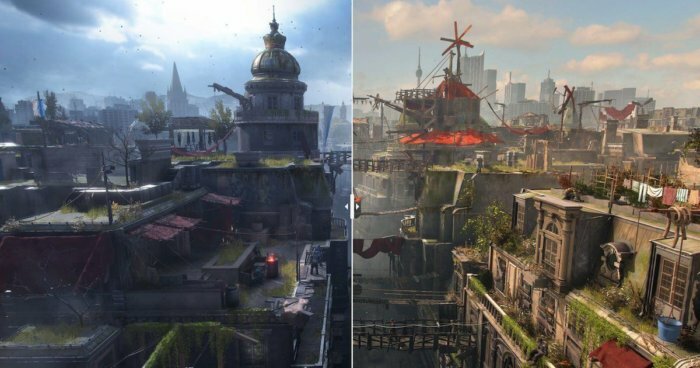 How The City can change depending on your choices in Dying Light 2. It’s the sort of demo that gets me really excited about the possibilities. How many of these inflection points are there? Are they all this large, or can Techland wrangle the same impact out of a smaller (but still meaningful) decision? Do the changes build on each other, or is it basically one per district? All questions I want answered. Of all the games at E3 2018, Dying Light 2 was probably my biggest surprise. I already knew I wanted to play Metro: Exodus and Cyberpunk 2077, but not only was I unaware Dying Light 2 was so imminent, I never expected Techland to invest so heavily in its writers. It’s a zombie game, after all. Kick the undead, chop off their heads. I probably would’ve played a sequel even if that were all we got. 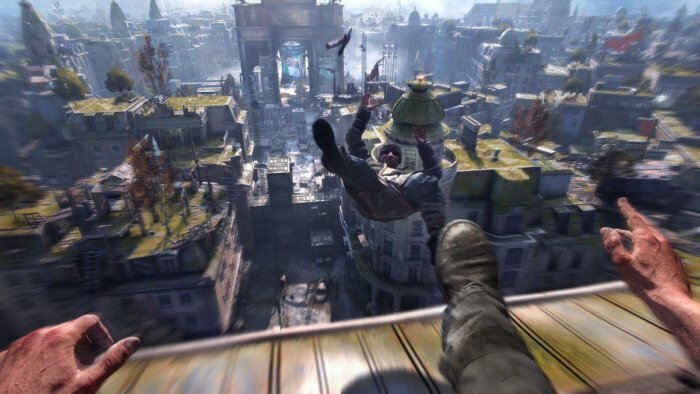 To come out swinging instead with Dying Light 2, this enormous game with an equally ambitious story behind it? Wow. And I’m excited to see where it takes us. 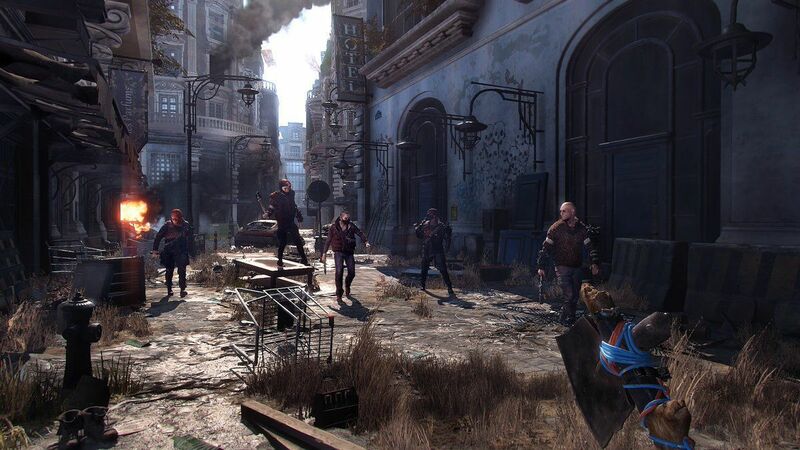 “Decide the fate of a decaying metropolis.” That’s what Techland said during our demo, and there were even hints The City might not exist at the end if you make certain choices. Not too surprising after the bleak ending of The Following (play it if you haven’t), but grim in comparison to most games of this scope. Luck might not be enough this time.